Zack Carr helped define American fashion for over 30 years. While he may not be a household name, longtime fashion insiders (myself included) knew him to be a brilliantly talented fashion designer who worked behind the scenes as creative director and right hand to Calvin Klein. He served as VP of Design at Calvin Klein from 1973 – 1985, Principal Designer of Zack Carr Collection from 1985 – 1987, and Chief Creative Director at Calvin Klein from 1987 - 1997. 11/7/17 marked the 15th anniversary of the launch of ZACK CARR, a beautiful and stylish coffee table book written by George Carr as a loving tribute to his older brother, and the creation of the Zack Carr Archive at The New School. To celebrate the occasion, George organized a private viewing of the never before seen Zack Carr Archive (the venue was The New School’s Kellen Design Archive). Both the book and the archive were created from the sketchbooks that Zack created while "living" with his terminal, paralyzing cancer (Poems Syndrome) from 1997-2000. Zack was such an integral part of Calvin Klein’s sophisticated, minimal aesthetic, that upon his untimely passing from a rare blood disorder in 2000 at the age of 55, Calvin went on record saying, ''Whatever one thinks about what we stand for in terms of being nontraditional, modern, clean -- that was Zack.” Fast forward to 2017. 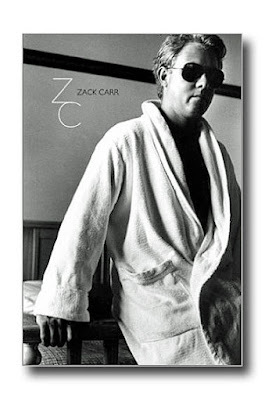 On the dedication page in Calvin’s newly released, 9½-pound, 463-page $150 coffee table book, (the first written and compiled by Mr. Klein), he wrote, “Zack Carr, my great friend and lifelong design associate. Throughout my career, Zack was by my side helping me make every creative decision. I respected him beyond words”. Indeed, it is impossible to separate Zack from Calvin (and vice versa). 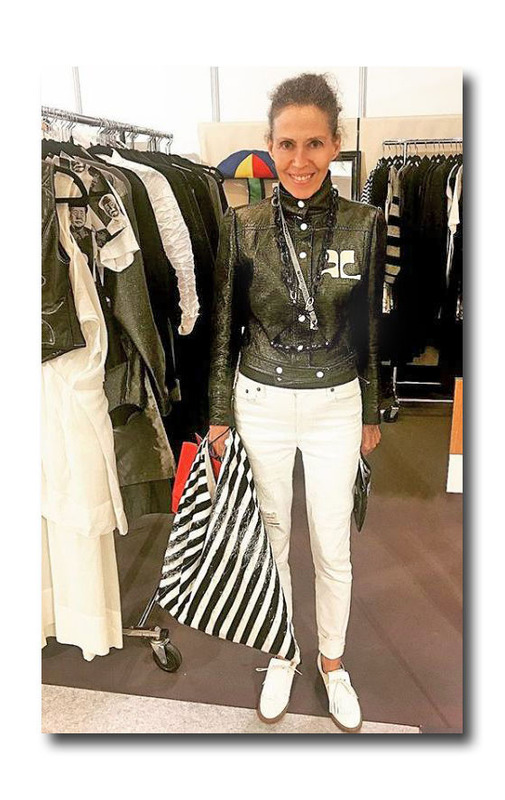 I will never forget those times when the Harper’s Bazaar fashion editors went down as a team to Calvin Klein’s 7th Avenue showroom to preview the upcoming collections. It was always Zack, the ‘front man’, who regaled us with his inspiring words and marvelous descriptions. He was always so animated and filled with an unbridled enthusiasm, obvious passion, love, and pride for what he did. While Zack emphatically stated, “There is only one Calvin Klein, and I’m not him” (that was in May 1984 when he left his job with the designer to start his own label), for many of us, he was not just the voice of Calvin Klein. He WAS Calvin Klein. The Austin Texas native’s career started at B. Altman & Co, and he worked for designer Donald Brooks before joining Calvin Klein in the early 1970s.Calvin hired Zack on the spot to be his design assistant upon seeing his sketches (he was a student at The Parsons School of Design at the time). He was never without a sketch pad up until 2000. When the question arose as to what to do with Zack’s vast archives which were left to George (letters, photos, memorabilia, and “hundreds of sketchbooks, thousands of sketches” which were meticulously kept in Hermes notebooks), he decided to donate much of it to The Parsons School of Design. But in 2010, when a friend saw the expressive and prolific drawings, he convinced George that, he in fact, had a “brand” -- “a lifestyle collection”. George took advantage of his extensive fashion background having served as VP of Retail Branding at Calvin Klein, VP Sales and Marketing at Calvin Klein Men’s Wear, and VP Retail Branding, Ralph Lauren Women’s Wear and quickly went to work interpreting his brother’s sketches, combining them with his proud Texas family heritage. The result was CARR (CARRnyc.com), a nod to Zack’s clean lined style and modern sensibilities. According to George, “All these sketches (along with his total design library of other periods, inspirations and memorabilia) were left to me in his will in 2000. At that time, I gave half of his sketches to Tim Gunn at Parsons for the archive and the other half to Sam Shahid for the book. Sam would ultimately return those sketchbooks and that is what I used to create CARR and all that you have seen at Studio 55. So that is my story - up to 2017! Hopefully, 2018 will see more”. (Click here for my blog about CARRnyc) . “In 2002, the book was officially launched and the archive created. The book had great press (including Cathy Horyn, The New York Times, 2002), great sales, and is widely known in the world of art, design, culture. While WWD’s Bridget Foley covered the sketches at Parsons back in 2002, the archive is not so well known. 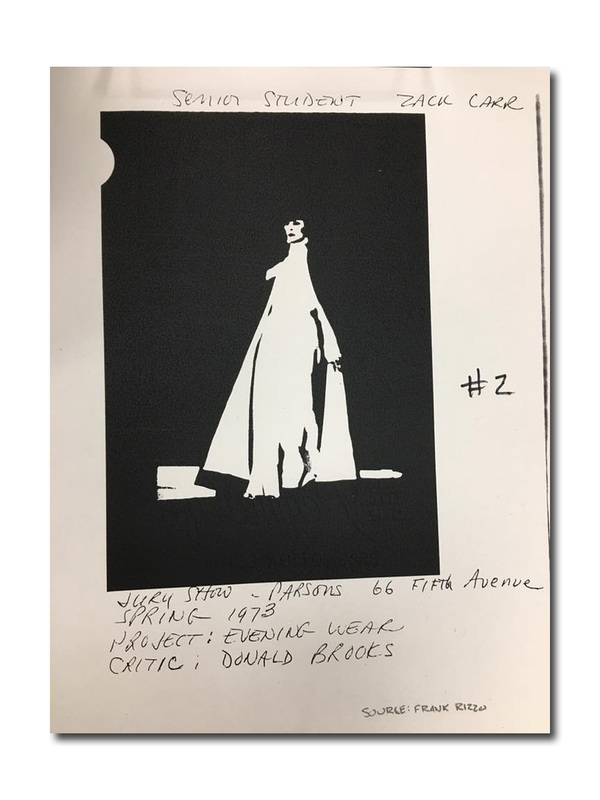 Tuesday's event is my way of bringing further awareness to Zack's designs and to this archives which are divided into three eras of his life: Parsons Student, 1971-1973; Zack Carr Collection, 1985-1986 (everything was made in Italy - Zack moved to Turin to be close to the factory - and it was hailed as the “first couture-quality sportswear collection by an American Designer”); the Sketchbook Period, 1997- 2000”. The answer George is, yes! And quite frankly, after so much maximalism, it has quite frankly never looked better, or more modern I might add! The fashion pendulum might just be swinging again.